After a two-year job search, Marguerite Gallinaro recently sat in her Quincy home at a computer, carefully creating a PowerPoint presentation for an upcoming job interview for a marketing position at a small medical device company in South Boston. Then she waited. Finally, the phone call came: She was offered a position as vice president of marketing at a medical equipment company, which she declined to name. Gallinaro, who came up with the idea of the PowerPoint presentation after getting advice during a Globe Career Makeover in August, later found out that no other job candidate had submitted a PowerPoint like she had, which impressed executives. And besides the offer she accepted, Gallinaro said, three other companies expressed interest in her, including a large nonprofit organization that wanted to hire her as a marketing project manager. A job offer was a welcome change for Gallinaro. 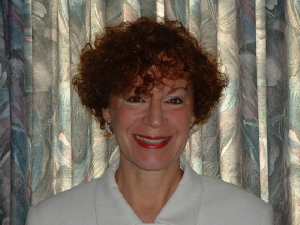 Since she was laid off as a marketing manager from an online retailer of classroom equipment in September of 2008, Gallinaro had participated in a government retraining program, attended endless networking meetings, reworked her resume numerous times, consulted four career coaches, and answered hundreds of job postings. When she met with Boston career specialist Leenie Glickman as part of the Globe Career Makeover, she was frustrated. Now that Gallinaro has secured a position, she’s able to retrace her steps to see what worked. She believes a key to her successful job search was old-fashioned networking, as recommended by Glickman. Indeed, the networking paid off: When she arrived for the in-person interview at her new employer, she discovered she knew the chief operating officer from a mutual connection in the marketing world. “We were familiar with each other’s reputations,’’ Gallinaro said. Career coach Glickman applauded Gallinaro for networking and keeping busy while unemployed, which included get-togethers with Rotary and women’s clubs and career and industry groups. Gallinaro’s new job requires developing and managing national, regional, and local connections, and because she’s been so active with volunteer work and organizational meetings, she’ll only continue to build the networks she’s already begun to establish. “Job hunters need to get out of the house and in front of people,’’ Glickman said. With almost 500 connections on the social networking website LinkedIn, Gallinaro was ahead of the game, using connections as job search agents. She regularly followed companies on LinkedIn and created Google news searches for any companies she was scheduled to interview with, and as alerts popped up in her box, she had timely material to share. “It shows that you’re really interested and keep on top of things,’’ Gallinaro said. Glickman agreed that LinkedIn is helpful as a social media outlet, providing the help to get to a resume in front of a real pair of eyes for consideration. Thanks to Glickman’s coaching, Gallinaro said, she went into her interviews fully prepared. “Listen to the questions being asked and answer them in enough detail to be convincing and credible,’’ said Glickman during the Career Makeover. As for that winning PowerPoint presentation that ultimately landed Gallinaro the job? “Whether it’s an Excel spreadsheet, multimedia proposal, portfolio of work, or other supplementary material, this sort of extra effort can separate you from the competition,’’ Glickman said.